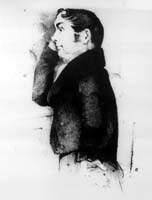 Zephaniah Williams (c 1794–1874), Welsh mineral surveyor and coal merchant, originally from Merthyr Tydfil but with business operations in Newport. In 1839 Williams, with John Frost and William Jones, was sentenced to life transportation (the sentence of death being commuted), for high treason in planning a general rising to establish Chartism. After servitude which included time at Port Arthur, he obtained a ticket-of-leave in 1849 and a full pardon in 1857. He initiated coal mining in New Town and particularly the Mersey district, and brought his family to Van Diemen's Land. After the failure of the coal mines he became a publican at the Don, and died in Launceston, praised as a 'celebrated Chartist' who had invested his means and skills towards the development of mineral resources in Tasmania. Further reading: D Jones, 'Cunning, silence, exile', THS 7/2, 2001; and 'Zephaniah Williams and the Welsh Diaspora', Island 82, 2000.